WBC heavyweight champion Deontay Wilder 40-0-1 (39) hasn’t given up hope of facing WBA, IBF and WBO heavyweight champion Anthony Joshua 22-0 (21) after retaining his title with a controversial draw against Tyson Fury 27-0-1 (19) in their epic encounter at the Staples Center in Los Angeles on Saturday night. The boxing world has called for an immediate rematch with Fury after the inconclusive nature of their thrilling bout. But if Wilder has his way, he will be facing ‘AJ’ next up. “I would love to go for the other titles,” Wilder said. “I’ve always spoken that there should be one champion, one face, one name. I always wanted to unify the division. 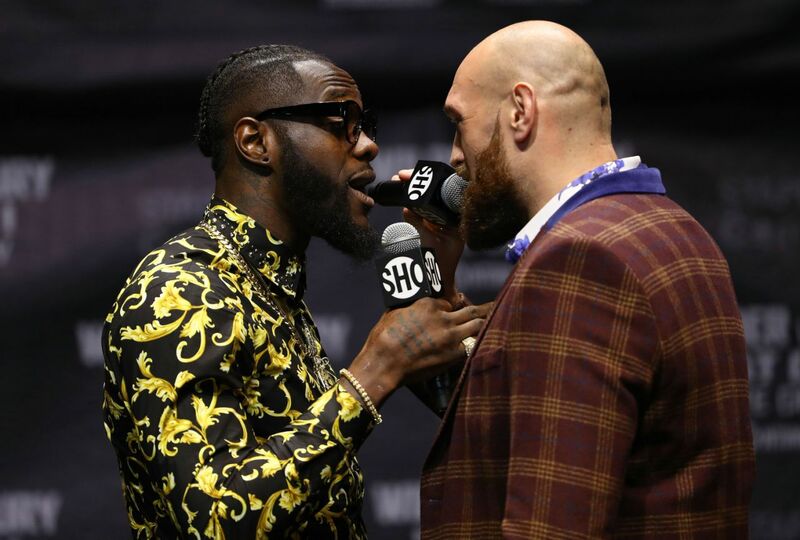 Meanwhile Wilder’s advisors are convinced that the best fight to be made is a return bout with Fury, who had to drag himself off the floor twice in the fight to secure the draw, including in the twelfth and final round when he looked down and out. “I believe the fight with Tyson Fury is the stronger fight,” said Shelly Finkel. “Probably more logical to have that. He dropped the guy twice. It was a premise Lou DiBella agreed with. “This fight has energised the division,” said DiBella. “We’ve got an American heavyweight champion that Americans can be proud of. And there’s two guys in Great Britain that are great champions. Across the aisle Fury’s veteran promoter Frank Warren also pointed to a rematch with a view to it being hosted in Britain as a stadium fight. “It has to be down to Tyson, but from my perspective, I’d love the rematch. Let’s go and fill up a football stadium. We want the fight,” said Warren.